Awhile back hubby asked for a book of standards. It was supposed to be a simple guide for people who might want to have us help promote their books. It was supposed to explain our views and how we would decide what books we could support. I hemmed and hawed and said I didn’t quite get what he was looking for, because I have difficulty doing simple. However, I eventually jumped in and started cranking out a small book based on Philippians. I let hubby start reading it, and he said … it wasn’t what he was looking for. But he also said it was a great idea and I should keep going on it. So, I not only kept going, I added material from, of all things, the Book of Numbers, and then I kept going and added a pretty good chunk from Proverbs and even Ephesians. This book has been brewing in my heart for a long time. I wanted to communicate what we should and shouldn’t read, what we should and shouldn’t write, and mostly how God wants us to think and read and write. We should not get our standards from men. understand what’s actually being taught and also what should be taught. It’s not all about inspiration or objectionable elements. Learn to sniff out where the bad air of secularism wants to lead you. In other good news, we finally have copies of all of our books in print. The photos are not as great as I hoped, but the books really look fantastic. So excited. A new author friend got slightly crushed when his dad read his book, loved it, but said “I wish you’d published it.” (it was only ebook). So for those like that dad who need “real” books, here they are,all 24 of them. The Good, the Bad, and the Ugly will be in print soon, too, but let me assure you that all our books are real and really published. Give them a try. Are you looking for an uplifting message of hope? You may have to look hard in this extraordinary story. Mee-Kyong was not someone I ever wanted to hear about again, so I admit I was reluctant to read it when I learned the subject of this book. Still, her story is compelling, because she tries so hard to save herself, and later even sacrifices for and tries to save someone else. Mee-kyong actually gets rescued, but all of these things demonstrate the most surprising and difficult lesson Terry has to teach. What does it really mean to be strong? What does it mean to be free, or to free someone else? What kind of help do people really need to satisfy their physical and spiritual hunger? These are hard, hard questions to answer, but Terry tackles them with strength and grace. It is not an easy book to read, but if you miss the opportunity, you will be poorer in spirit. The characters, warmth, and humor are great in this short story, as well as the serious lessons. 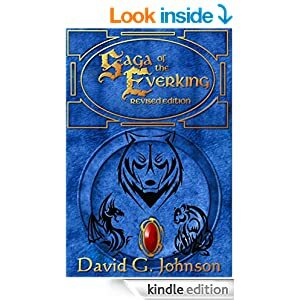 The Everking’s pride demands that he must secure his succession. He fears his warlike people will splinter if he fails to produce a suitable heir. This short story echoes the biblical Abraham and Sarah but has shocking twists and lessons about the price of doing things our own way, and forgetting who the real Everking is. Book 1 This is a story an adult can read all in one night, but I can imagine it becoming a great bedtime story that will reward your kids for hitting the hay on time. Lamek doesn’t know who he should be loyal to when the only life he knows is mockery and slavery, and the only friend he has is a warped and selfish dragon. Karini’s a timid pink fairy who’s promised to help the cause of freedom, but how do you get free from thirteen dragons? There’s an army you won’t expect, a separation and a sacrifice you won’t soon forget, and, best of all, there are two more books in the series to look forward to! Book 2 This seems like a great book for children to read for themselves themselves. 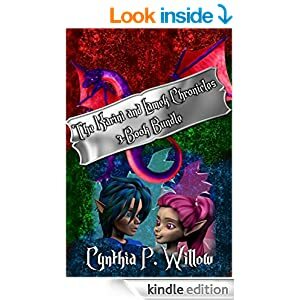 I enjoyed its simplicity and down-to-earth tone, while still allowing for flights of fantasy and a cast of magical characters. Unlike many that try to be high fantasy with complex language and deep symbolism. It’s a story of friendship, courage, loyalty, and has so many good moral lessons. It doesn’t wallow in the dark side, but clearly portrays evil as evil. It explores grief, personal sacrifice, but still has humor, bright spots, and good guys winning. Book 3 This final story in the trilogy is about what people do and don’t wish for. You might get your wish, but it might not be what you want or need. Lamek is not the only one who learns that lesson in the climax of the Karini and Lamek Chronicles. Lessons in love, war, and character abound. Natas has no desire to re-unite with someone he thought abandoned him long ago. Parallel characters play off the different ways to look at responsibility, ambition, and true friendship. Sometimes the cost can be very high, before you learn the truth about yourself and how to do the right thing. A little magic doesn’t hurt, either.